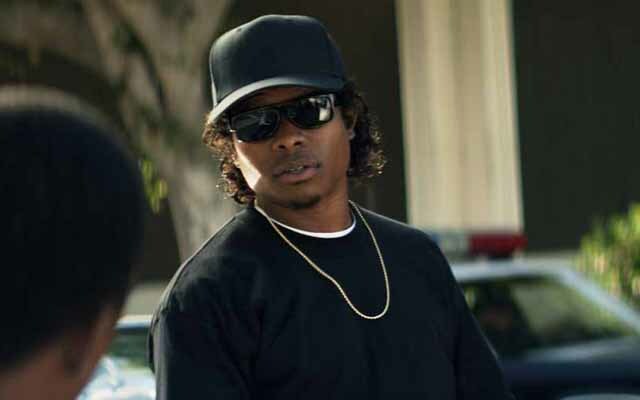 With Straight Outta Compton number one at the box office, Universal appears eager to continue to work with the film’s young stars. According to a story today at Variety, Jason Mitchell (who played Easy-E) is the second member of the biopic’s cast to plan a trip to Kong: Skull Island. Earlier this month, it was revealed that Corey Hawkins (Compton‘s Dr. Dre) had signed on for the Legendary and Universal 2017 release. Also on board for Kong: Skull Island are Toby Kebbell (Fantastic Four, Dawn of the Planet of the Apes), Tom Hiddleston (Thor, Only Lovers Left Alive), Samuel L. Jackson (Captain America: The Winter Soldier, Big Game), John C. Reilly (Guardians of the Galaxy, Wreck-It Ralph), Tom Wilkinson (Batman Begins, Selma) and Brie Larson (Short Term 12, Trainwreck). Kong: Skull Island aims to fully immerse audiences in the mysterious and dangerous home of the king of the apes as a team of explorers ventures deep inside the treacherous, primordial island. Legendary’s story honors the foundations of existing King Kong lore, but places it in an entirely new, distinct timeline. Previously, Simmons revealed a surprise setting for the film, saying it would take place in Detroit in 1971; however, given the title of the movie, it’s a safe bet that the jungles of King Kong’s homeland will be the primary setting. Although the specifics of the project are shrouded in mystery, Jason Mitchell’s character is said to be a pilot. The Kings of Summer‘s Jordan Vogt-Roberts will direct the film from a script by John Gatins and Max Borenstein. Thomas Tull (Godzilla, The Dark Knight, Pacific Rim) and Jon Jashni (Godzilla, Warcraft) will produce and Alex Garcia (Godzilla) will executive produce. The film will be released in 3D and IMAX 3D by Universal Pictures March 10, 2017.